what a reindeer! everybody�s pal. "you see that guitar on the shelf? i can�t get for myself�would you?" hey ray, can you play a song or two? have you hear about ray? said "you better be good �cause santa�s watching"
have you heard about ray? the stress of the big night � who knows? like a deer caught in the headlights --- he froze. 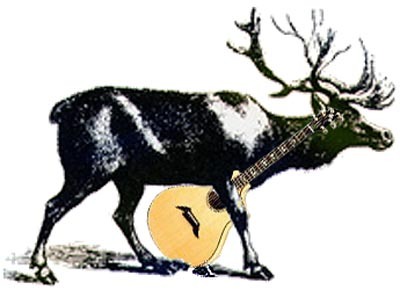 that reindeer can play guitar.